received my letter the same day. I have a question about this... similar to the other poster. I bought my '18 SEL-P in August. When I took ownership the lights never worked so not sure if a dealership disconnected them (car was traded from a nearby dealsership) or they were disconnected at the factory. My sticker has no monetary deductions on it either. But when I run my VIN nothing comes up. Is anyone else in this situation and what have they done? 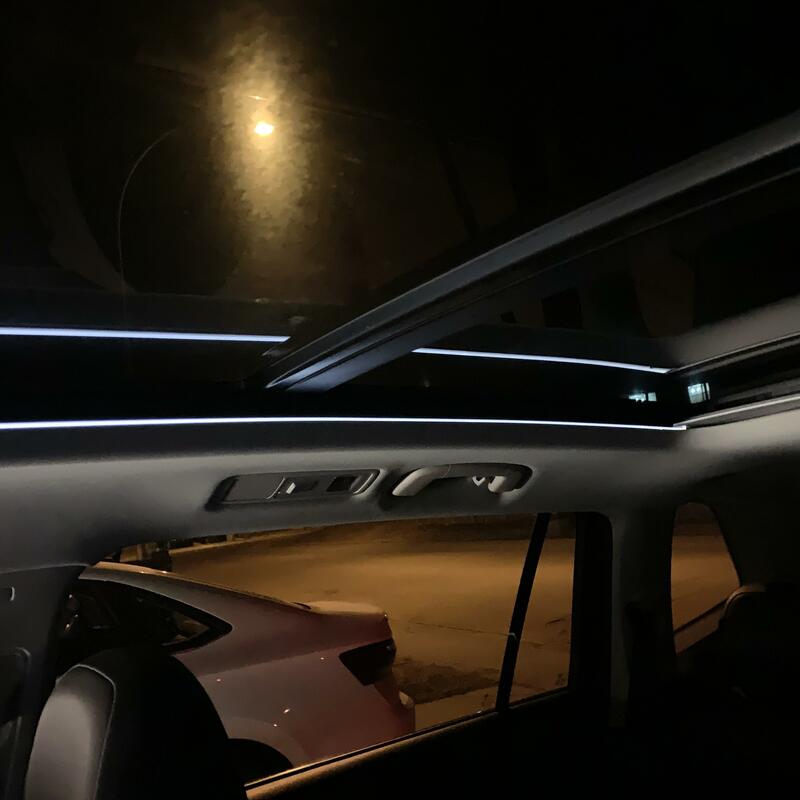 Has anyone in Canada received any information on the sunroof LED fix yet? Got ours Friday for my wifes SEL as well. Yes the fix is available. Went in for an oil change last week and had mine fixed..
Just pulled out my window sticker to see if the $150 credit is on it. Sure enough it is so looks like I'm sol. our window sticker still has the ambient lighting listed and no $150 credit. It can disabled. Should I wait to get some sort of notice? I took my 2018 Tiguan SE in today for the 60D8 recall letter I received. They told me they completed the recall today on my invoice. Waited till the sun went down, started the car, ensures the headlights were on, but no lights on the sunroof. 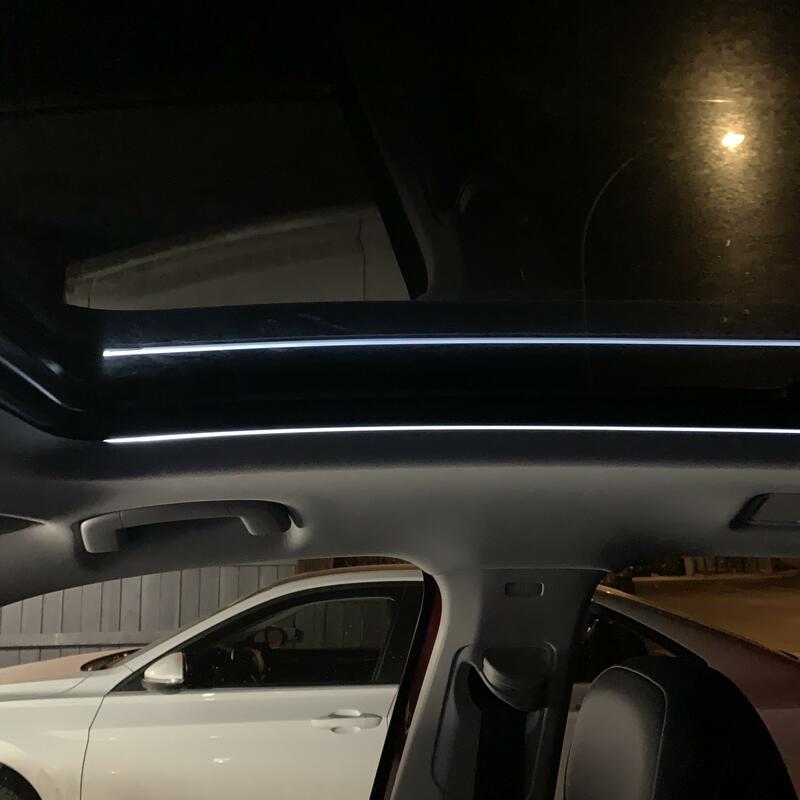 Looked at the infotainment settings and no ambient lighting options for the sunroof. Will call them tomorrow and see if they maybe they just forgot to update the software and only replaced the 3 parts listed on the invoice. Looks good, hopefully get positive news from VW for my 2019.
here in Canada also. I've checked with the service consultant, he is saying "I checked your vehicle, unfortunately your vehicle was not in service during the recall 60d1. As a result for all those vehicles VW has permanently disabled that feature in all tiguans during that time." I took mine back and they updated the software to show the rooftop lighting option under light settings. So if you take yours in make sure they install the update and option shows before you drive off. scheduled my appointment for tomorrow morning. they will also be performing the cowl hood recall too.